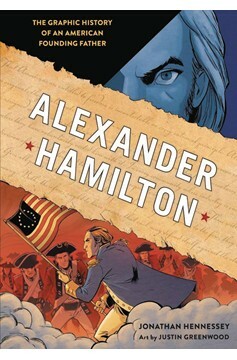 From the New York Times best-selling author of historical graphic novels like The United States Constitution and The Gettysburg Address, this graphic novel biography of Alexander Hamilton, American founding father and current pop culture/Broadway icon, illustrates his life, death, and historical legacy in a giftable, visually stunning package! Alexander Hamilton was a key figure in United States history, on hand for the Revolutionary War, the development of the Constitution, and the establishment of the Treasury and banking as we know them today. Killed in a duel by political rival Aaron Burr, Hamilton faded into the background behind other great American originals like George Washington and Thomas Jefferson. However, a recent resurgence of interest in Hamilton, thanks in no small part to the hit Broadway musical, with nearly $65 million in ticket sales and 11 Tony Awards, has returned the formerly forgotten founder to prominence. 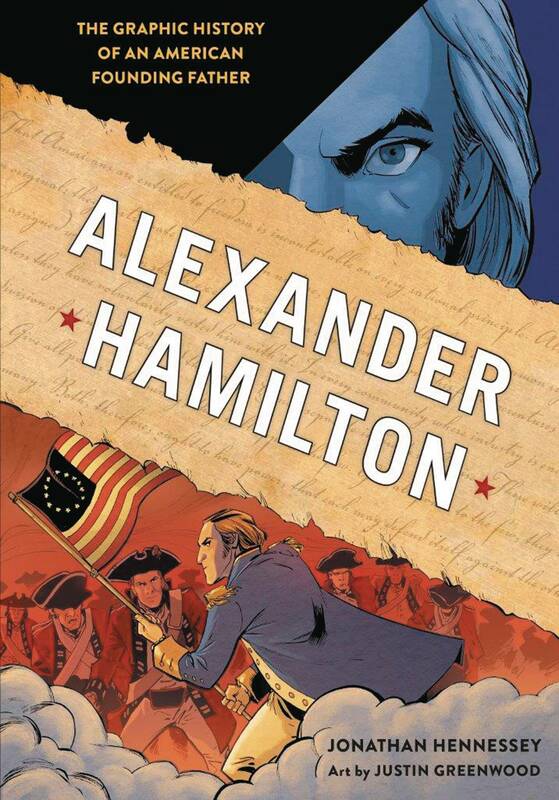 Author Jonathan Hennessey and comic book illustrator Justin Greenwood team up to bring the story of Alexander Hamilton to life in a fully-illustrated biography that captures the period, people, and places on hand for the birth of the United States. Along the way, they help readers contextualize Hamilton, showcasing his impact on history, including his policies' shaping of the Civil War and how his ideas on the economy led to America's rise as a superpower. Alexander Hamilton offers readers a front row seat to view the world of one of the most influential figures in American history. Available in Softcover and Hardcover editions..